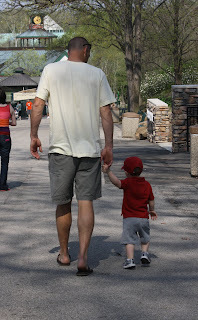 We took our 2nd trip to the Zoo today (the first was on Jack's first birthday). It was a great day! 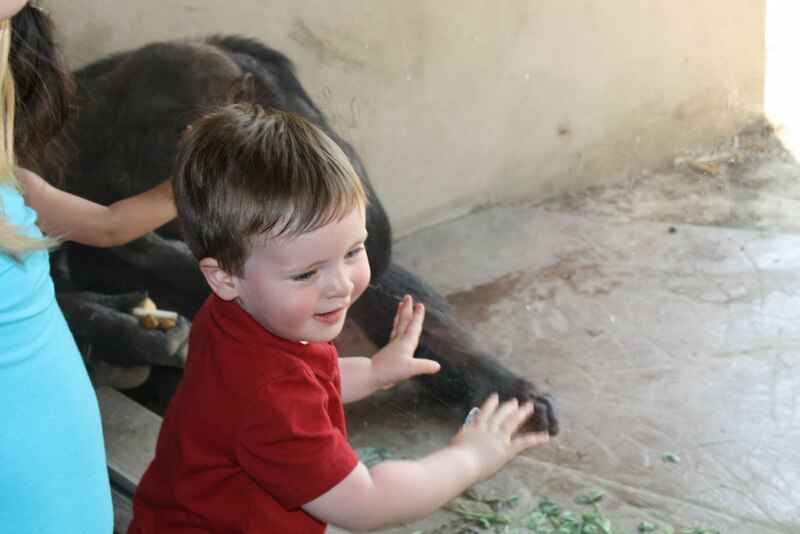 Jack loved looking at the different animals. 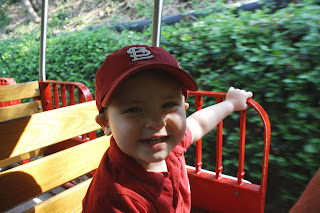 We rode the train, and he wasn't really sure what to think. 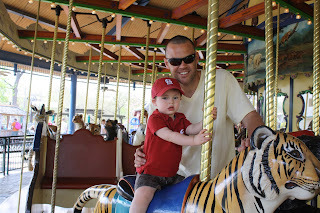 He was basically motionless and silent for the first 3/4ths of the ride, then he finally started enjoying it. 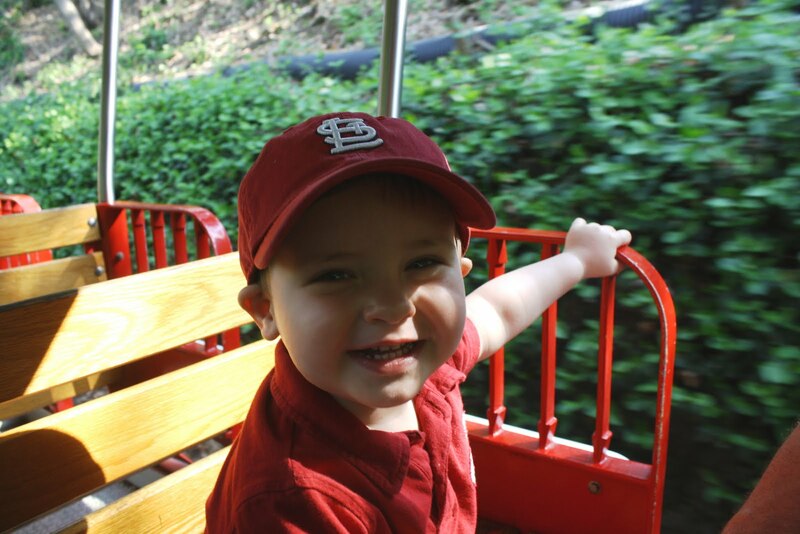 It was funny - especially with how obsessed the little guy is with "choo choos." 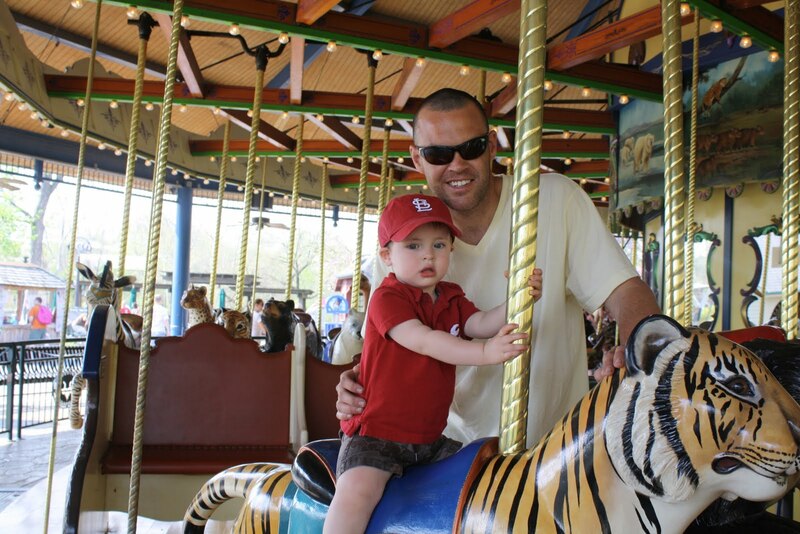 He was the same way on the carousel - even though he's been on numerous carousels before. 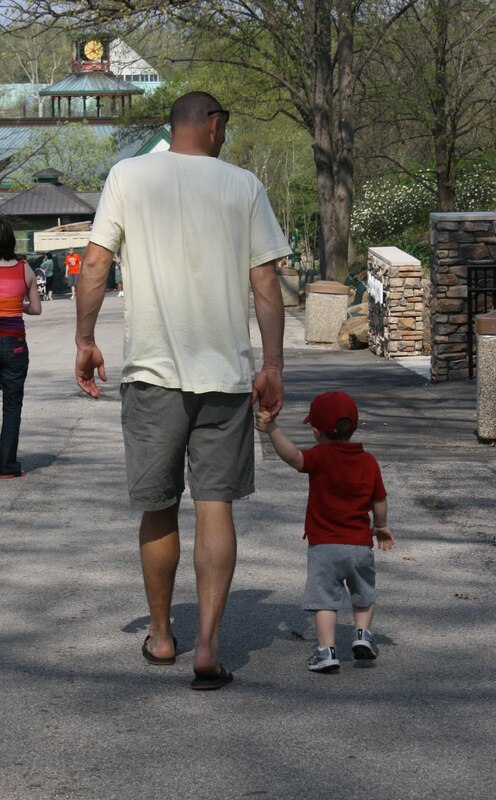 We also got him to wear a baseball cap for about 1/2 the day - that's by far the longest he's ever worn it! He looked so handsome, despite his ears sticking out (it's a little too big). I became a Zoo Member this year to support our local (& free!) 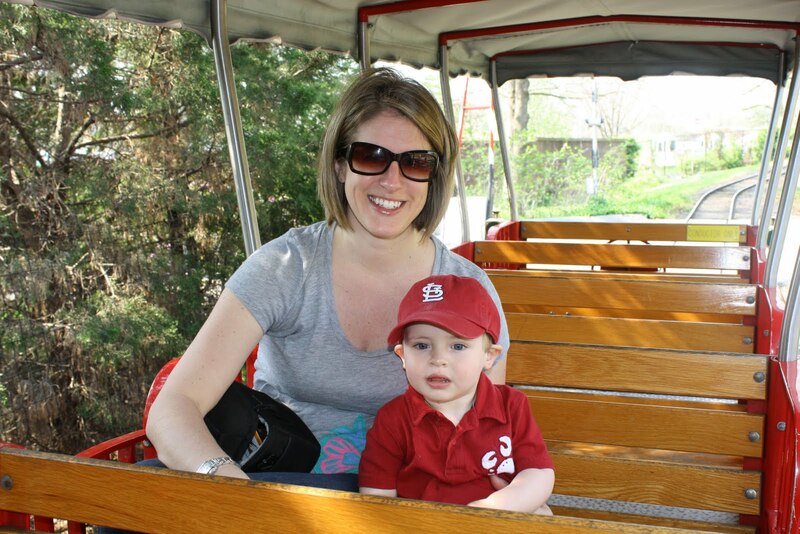 zoo, and it comes with some perks like free parking, free train and carousel rides, etc. We'll be going back for sure!